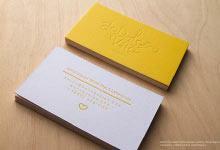 Regal and sophisticated, the Kendrah Foster business card template projects poise and confidence. The 16 pt. 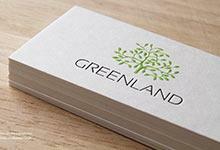 silk laminated cardstock creates a durable card suited to many different uses. 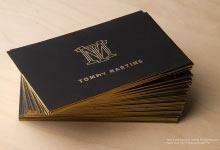 Gold foil stamping on both sides of the card accentuates the important details of this design in a professional and elegant manner, making this template an ideal choice for high-end hotels and resorts. Spot UV provides a shiny and glossy surface to the finer details of the card, reflective of your deluxe suites and exceptional quality services that any business strives to provide. 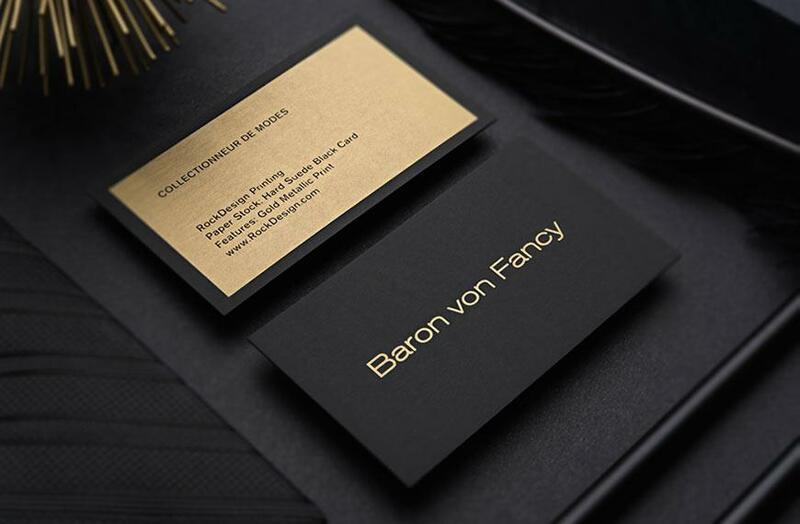 The seamless combination of spot UV with gold foil stamping and then contrasted on a black background ensures your business stands out proudly from the competition. Recipients will fall in love with the sophisticated and dignified manner in which the Kendrah Foster template presents itself, automatically associating your business with class and excellence.